Work-experience if any 3.5 years in Investment Banking. Presently in IPS. Baliyan history optional classroom coaching useful, but don’t rely solely on it. Graduation course and % Computer Sc. & Engg. 6.8/10. Multiple F’s and degree Extended. Q. In recent times, there is spur in electronic material- blogs, sites, pdfs, RSS-feeds. Many aspirants feel bogged down by this information overload. So, how much do you rely on electronic material and how much on the paper material (Books, newspapers)? More than 60% of preparation today has to come from internet. Role of books is decreasing. Hindu is of prime importance now. No typical day. I maintain notes. Q1. What’re your words of wisdom to other senior players? If any specific inspirational incident(s), please share. Only one thing. While preparing for the next attempt, don’t begin in blind and just repeat what you did earlier, because that obviously failed. Instead, sit down, analyze, find your weaknesses and work to improve those weaknesses mainly. History Ancient I had history optional last year. History Medieval I had history optional last year. Culture society I had history optional last year. Economy (theory + current) I had economics optional. Science (theory + current) 9th and 10th class NCERT and Vajiram notes. geography physical 11th and 12th class NCERT, Goh Che Leong, Vajiram notes. geography India 11th and 12th class NCERT, Goh Che Leong, Vajiram notes. geography world 11th and 12th class NCERT, Goh Che Leong, Vajiram notes. other national/international current affairs Newspaper and internet. Schemes, Policy & Filler Stuff Newspaper and internet. Can’t comment here as didn’t prepare for this. Don’t remember as didn’t analyze this year’s paper after coming back. Q3. Your score in prelim? Please note that while reading the coaching material, we will find that 90% of the topics are repetitive and useless if we have read the books. So skip those 90% and quickly read the remaining useful 10% only. world history Baliyan’s history optional classnotes. Also read Europe Since Napoleon for history optional last year. post-independence India Mentioned above. Most of the questions asked were common knowledge which we develop from school time via newspapers and stories. Indian society Everybody knows everything. Skipped. role of women, poverty etc. Everybody knows everything. Skipped. globalization on Indian society Everybody knows everything. Skipped. communalism, regionalism, secularism Everybody knows everything. Skipped. world geo physical Had some basic idea. Got some coaching notes of Baliyan and Vajiram. Read some topics from Savinder Singh’s book. Prepared cyclones from IMD website. factors for industrial location Skipped. Most of it is common sense. earthquake tsunami etc NCERT, Savinder Singh. comparing Constitution with world Basic comparison everybody knows. So skipped. parliament, state Legislatures DD Basu, Puncchi Commission and 2nd ARC reports. executive-judiciary DD Basu and also current issues. pressure group, informal asso. 2nd ARC report. But too general a topic, everybody knows everything. various bodies: Constitutional, statutory.. Internet based study, Wikipedia, expert opinion. Basically find the composition etc. of the body. Powers, functions etc. mostly same. Weaknesses and strengths also mostly same. Refer to my notes here. NGO, SHG etc Everybody knows everything. Still studied 2nd ARC report for core issues. welfare schemes, bodies Vajiram came out with a public pdf analyzing various schemes. Indian economy, resource mobilization Everything under the sun comes under it. What to prepare. inclusive growth Everybody knows everything. budgeting I read 2nd ARC report on Financial Management. But obviously question asked was from somewhere else and I had no idea. But still one should read it to cover basic stock issues in the topic like accrual budgeting, other types of budget etc. Additionally I think one should read the budget carefully and watch out for any interesting term in it. major crops, irrigation Report titled “State of Indian Agriculture” presented in parliament in March / April 2012.
agro produce – storage, marketing APMC Acts, direct marketing, e-marketing initiatives, FDI in retail, schemes of the ministry, Mega food park scheme, National Food Processing Missin etc. All this can be found on internet. farm subsidies, MSP From economics optional background. Understand what are the issues with farm subsidies and MSPs. See what leading economists are saying about these. Read a few papers from CACP website. PDS, buffer, food security CACP website, FSB, internet based study totally. animal rearing economics Couldn’t prepare except for whatever is given in State of Indian Agriculture Report, 2012.
food processing Mentioned above in storage, marketing topic. land reforms Prepared it as a part of economics optional. You can see my notes. Bhoodan and Gramdan I saw from Mrunal. science-tech day to day life Coaching material, but all of it was useless. awareness in IT, space, biotech, nano, IPR Tried to follow current developments. For all effective purposes, skipped. environmental impact assessment Skipped. Everybody knows everything. Disaster Management 2nd ARC report. CAG report on the topic. non state actors, internal security 2nd ARC and Puncchi Commission reports covering tribal councils, 5th and 6th schedule issues, PESA, FRA etc. internal security – role of media, social networking site Too general, everybody knows everything. Just keep following current issues. cyber security Skipped. Everybody knows everything. money laundering Skipped. Everybody knows everything. border Management Skipped. Everybody knows everything. organized crime, terrorism Skipped mostly. Read some discussion on anti-terror law in 2nd ARC report. Everybody knows everything. security agencies- structure mandate Some Wikipedia based study, but mostly skipped. Everybody knows everything. ethics and interface, family, society and all the hathodaa topics Too general topics. Everybody knows everything about these topics. Most important question in this topic is what is the role of family / society in framing morality / ethics. attitude, moral influence etc. Sriram, Baliyan and Vajiram material available in photocopy shops for basic definitions. civil service: integrity, impartiality, tolerance to weak etc Vajiram and Baliyan material available in photocopy shops. Nolan committee report. 2nd ARC report. emotional intelligence, its use in governance Sriram material for basic definitions. Too general topic, everybody knows everything about it. One important question is role of EI in administration. moral thinkers of India and world How many thinkers did you prepare? Mostly skipped it. Tried to remember a few thinkers from Baliyan’s and Sriram’s notes but found it couldn’t be done. ethics in pub.ad, accountability, laws, rules etc. 2nd ARC report. Everybody knows everything. corporate governance Important topics I thought here were recent Company law, Sebi recommendations. But they didn’t ask these. Otherwise this is too general a topic and everybody knows everything. probity in governance, work culture Everybody knows everything. citizen charter, ethics code, work culture etc. 2nd ARC reports on ethics and governance. challenges of corruption 2nd ARC report on ethics. case studies on above topics Bring it on approach. In case studies, I always tried to analyze each option from a theoretical perspective. I used to take an option and see what the 4-5 school of ethics say about it and then try to come to an acceptable ethical decision. It’s a trap. Don’t fall to the temptation of filling the entire space. Bullet points with proper headings, sub headings, underlining. And who says we can’t comment / discuss in points or while analyzing can’t present our thoughts in points. In comment / discuss / analyze kind of questions, simply give all positive points, then given all negative points and then give way forward. Or say take up an issue as a point sub heading, do its pros and cons analysis and then move on to next point sub heading. Bottom line is, use your own brain and communicate in a way you feel to be the best. Don’t rely blindly on coachingwallahs. Yes. I too wrote almost all my answers in points but still I gave a proper introduction, proper headings and sub-headings and then a conclusion. The main bulk of the answer was in points. I don’t think why the tradeoff mentioned in the second half of your question should arise. Extremes in public life are mostly bad and one has to do a balancing act. Same applies to your question above. I would only say, have faith in your judgment, apply your mind, and rely on intuition on what to attempt and what not. Exam condition is so dynamic, can’t apply any rigid formula there. I simply attempted questions I ‘felt’ I should attempt. This is a list of reading material arrived after a lot of painstaking trial and errors. Paper 1 can be done mostly by books. Paper 2 is 80% internet based. 3 months for the first time where I could study the other optional as well as GS along with Economics. Yes, electronic. All uploaded on my blog. I think there was a quantum jump in the difficulty level from previous mains. There was a question in paper 1. I still can’t even understand to this day. But thankfully, the system of choices saved me. Precautions etc. I have mentioned in my blog post on economics. Yes. 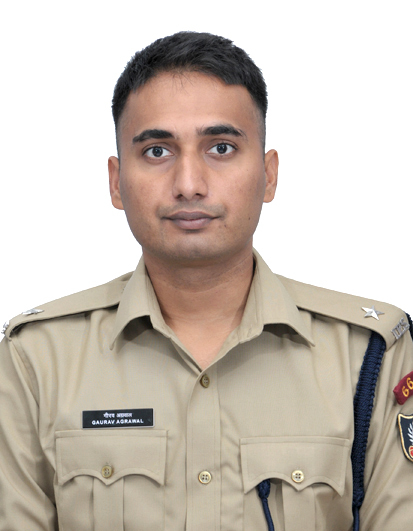 They were very helpful for me as I was cutout for private sector interviews, not UPSC interview. UPSC interview requires different kind of mannerisms and body language and this is what I learnt from mocks. Then I also got to know my weakness areas on which I worked. However, don’t rely blindly on whatever they say, apply your own mind before changing / preparing something. My friend’s place. Revised some of my online notes and mind maps. click me for Full transcript of my interview by UPSC panel. Most of it was expected. Would sit down and try to figure out how to score more in GS. Would consult few more people, also join test series to seek feedback. Continued with IPS, Rajasthan cadre. Q. Despite what UPSC has done in recent years, it has failed to curb the nuisance of Delhi’s coaching factories. In fact it’s increased under the new syllabus in 2013. Let’s face it, most toppers have relied on (authentic OR Xeroxed) coaching notes because there was hardly any time left to prepare so many topics in such short time. This system work against an individual preparing from far-away area, without any financial resources, high-speed internet or contacts in Delhi. Don’t agree with this. Coachingwallahs thrive when question papers are static and same things are repeated year after year. UPSC, on the other hand, has made their paper very dynamic in last 2-3 years. Now the ‘bookish’ questions have reduced greatly and analyze types have increased. No longer are they asking questions where information is the key determinant (even in the prelims). What matters is one’s opinion and analysis. This cannot be found in any single place / book and internet has to be referred to. Most coachingwallahs are stagnant and old and are unwilling to change with times. Classroom coachings have become a waste of time. Only 10% of what they teach is perhaps relevant. Instead of attending their classes and wasting time on that 90% useless thing, better to just buy their notes from photocopy shops and study the 10%. Coachings take 6 months to teach what one can study in 2 months and are of inferior quality. Mrunal comments: thanks, your reply will help clear the negative vibes among some new players that Delhi coaching is essential for success in UPSC. I don’t subscribe to the so called ‘level playing field’ theory that removing optional ensures level playing field. How can it be a level playing field when you force an engineer to study history as well as a history student to study history? Is this level playing field or the scenario when everybody can study his/her strength? Yes. In fact should also reveal individual’s marks along with his / her prelims result. Invariably that is the direction one has to move in. But people are not ready for it presently. Provide scanned copies of answer sheets. Release all marks of each candidate at each stage. Give a tentative window of result declaration beforehand. Divide GS into more papers and ensure that only a historian is checking history answers, geographer is checking geography answers, foreign policy experts are checking IR answers and so on. In the present system, a single person is checking entire GS paper which has 3-4 subjects and this hampers quality of examination seriously. No such insecurities. On the other hand, I suffered from the insecurity that given my exceptional background, the interview board may take me as arrogant and confused even before the interview begins. Learnt that there are always conflicting perspectives of things and one has to appreciate both. Also life is not like sciences, but social sciences. 2 + 2 may not be equal to 4. One has to accept what it is and move on. Of course tighten your seat belts and get going. But don’t just blindly repeat what you did because obviously it didn’t work. See where your mistakes might have been and improve them. Yes, in fact question on Bhoodan movement I had read from your article only. But not a regular follower as its not a user friendly site. Please make it structured and easy to read. I have tried to read it many times but always find it difficult to see. Mrunal comments: In 2014, I shifted to a new theme. But Yes, there are still lot of issue with the site, but as they say in Public Administration- routine activities taking away the time necessary to bring out long term reforms! Anyways, great interacting with you, especially the Delhi coaching factories part. Wish you the best for the long career ahead, keep in touch. Hiii bhai, I have completed B.com. but I am intrested in economic then can I choose this subject for upsc or not…. You can also repeat the number ? I need these study material….. kindly suggest me that from where i could collect this… and is this material benificial for state level civil exams..? Kindly….. share your thoughts.. Very systematic and well presentation. This post in itself is a learning organisation. A person doing IAS preparation will get inspiration from successful people and a person in blogging will learn how neatly a thing can be presented. 11 + 3! + 13 =30. As we cant get a even num using 3 odd numbers. IAS preparation requires hard work and perseverance above all. When I was preparing for the exam, the center of learning was quite far from my place. 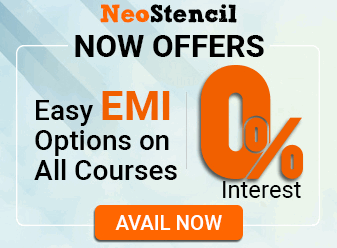 I decided to take the risk and study online through platforms like https://neostencil.com/upsc-syllabus/ . I think that might have changed a lot of things because I saved time in commute and learnt a lot through the tons of online resources. Keep at it without loosing faith guys and you will succeed. interesting, about analyis of UPSC MCQs. I’m very happy I found this in my hunt for something concerning this. I am studied in 11th standard . How can solve your question++=30. Please tail me answer on 9359367719.l hope you tail me answer .